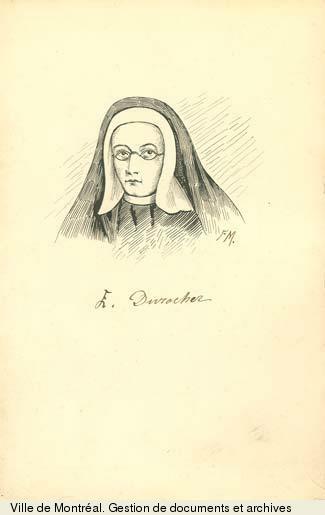 DUROCHER, EULALIE (baptized Mélanie), named Mother Marie-Rose, founder and first superior of the Sisters of the Holy Names of Jesus and Mary in Canada; b. 6 Oct. 1811 in Saint-Antoine-sur-Richelieu, Lower Canada, daughter of Olivier Durocher and Geneviève Durocher; d. 6 Oct. 1849 in Longueuil, Lower Canada. Eulalie Durocher was the tenth of 11 children, 3 of whom died in infancy. Her father, a wealthy farmer, had partially completed his classical studies, and her mother had been given the most attentive schooling at the Ursuline convent in Quebec. Consequently both were in a position to ensure that their children obtained a good education. Eulalie’s brothers Flavien*, Théophile, and Eusèbe entered the priesthood, and her sister Séraphine joined the Congregation of Notre-Dame. Eulalie did not attend the village school; her paternal grandfather Olivier Durocher, a distinguished and scholarly man who served in the militia, undertook to be her teacher at home. Upon his death in 1821, however, the little girl went as a boarding-pupil to the convent run by the Congregation of Notre-Dame in Saint-Denis on the Richelieu. After taking her first communion at the age of 12, she returned home; there she was again tutored privately by Abbé Jean-Marie-Ignace Archambault, a teacher at the Collège de Saint-Hyacinthe. Eager to dedicate herself to God in the religious life, she entered the boarding-school of the Congregation of Notre-Dame in Montreal in 1827, intending to do her noviciate there as had her sister Séraphine. But after two years of study broken by long periods of rest, she had to abandon her plans for the religious life because of poor health. She went back home, to await God’s good time. At her mother’s death in 1830 Eulalie took over her role and became the life and soul of the family. Of an ardent temperament, easily peremptory, deeply pious, she had a special influence on those around her. Her brother Théophile, curé of Saint-Mathieu parish in Belœil, managed to persuade his father to move from the ancestral farm to the presbytery at Belœil; Eulalie assumed the housekeeping duties, which she carried out from 1831 till 1843. In the comings and goings of the busy presbytery, Eulalie’s calling gradually took shape. The serious political, educational, and religious problems of the day were freely discussed there. She took an interest in them and became aware of the urgent need to make education accessible to children in the countryside whether rich or poor. As there was an alarming shortage of schools and teachers, she began to dream of a religious community that could easily establish more convents. When in 1841 the parish priest of Longueuil, Louis-Moïse Brassard*, appealed to the Sœurs des Saints-Noms de Jésus et de Marie of Marseilles, in France, Eulalie enrolled herself in advance, with her friend Mélodie Dufresne, as a novice in this congregation. But the French sisters did not proceed. 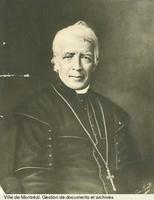 The bishop of Marseilles, Charles-Joseph-Eugène de Mazenod, who had founded the Oblates of Mary Immaculate, then advised the bishop of Montreal, Ignace Bourget*, to set up a fledgling religious community with the two women who had been eager to be part of the anticipated French group. In the mean time an initial party of Oblates, including Father Adrien Telmon, had arrived in Montreal. Telmon came to Belœil to conduct popular missions, and he quickly recognized in Eulalie a mentor able to gather kindred souls about her and guide them in the ways of the spirit. He lost no time in encouraging her to found a religious community typically Canadian in its dedication to educating the young. She, Mélodie, and Henriette Céré, the first three candidates, began to prepare themselves for the religious life under the guidance of the Oblates in October 1843. They moved into a building in Longueuil used as a school, in which Henriette Céré taught. On 28 Feb. 1844 Bishop Bourget conducted the ceremony when the three young women took the habit. Eulalie became Sister Marie-Rose in the community, which assumed the name and the institutions of the Sœurs des Saints-Noms de Jésus et de Marie of Marseilles. On 8 December of that year Bourget received the religious vows of all three in the parish church. Marie-Rose was then named superior, mistress of novices, and depositary. 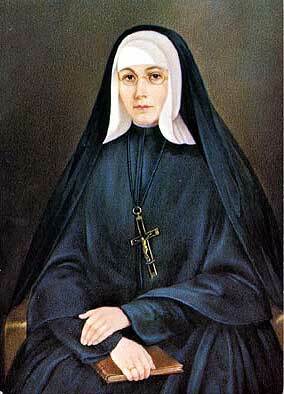 Mother Marie-Rose faced many difficulties, not the least being her community’s disputes with Abbé Charles Chiniquy*. 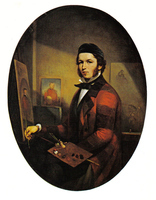 Chiniquy entered the Oblates’ noviciate in 1846 and wanted to take control of the teaching in the schools established by the sisters When he met with refusals from the perspicacious superior, he publicly disparaged the community. Despite the storms Mother Marie-Rose stood firm. A woman of great virtue, in close communion with the Lord and a peerless educator, she gave the community an impetus that has not been lost with the passage of time. When she died on 6 Oct. 1849, on her 38th birthday, the community already had 30 teachers, 7 novices, 7 postulants, and 448 pupils in 4 convents. After the funeral Bourget told the mourning sisters: “I confess to you with heartfelt sincerity that I was deeply moved to see so many virtues knit together in one soul. . . . I begged her to procure me the same zeal for governing my diocese as she had for directing you.” Thirty years later, in 1880, Bourget was to say: “I invoke her aid as a saint for myself, and I hope that the Lord will glorify her before men by having the church award her the honours of the altar.” His last wish was fulfilled on Sunday 23 May 1982 in St Peter’s Square in Rome, when before a huge crowd Pope John Paul II proclaimed Marie-Rose Durocher blessed. ACAM, 525.105. ANQ-M, CE1-3, 6 oct. 1811; CE1-12, 8 oct. 1840. M.-C. Daveluy, “Mère Marie-Rose, 1811–1849,” Dix fondatrices canadiennes (Montréal, 1925), 27–31. P.[-J.-B.] Duchaussois, Rose du Canada; mère Marie-Rose, fondatrice de la Congrégation des Sœurs des Saints Noms de Jésus et de Marie (Paris, 1932). Germaine Duval, Par le chemin du roi une femme est venue; Marie-Rose Durocher, 1811–1849 (Montréal, 1982). Marguerite Jean, Évolution des communautés religieuses de femmes au Canada de 1639 à nos jours (Montréal, 1977). [J.-H. Prétot], Mère Marie-Rose, fondatrice de la Congrégation des SS. Noms de Jésus et de Marie au Canada (Montréal, 1895). Pierre Lambert, “Eulalie Durocher et les filles de Belœil,” Soc. d’hist. de Belœil–Mont-Saint-Hilaire, Cahiers (Belœil, Qué. ), 10 (février 1983): 11–30. André Lemay, “Mère Marie Rose,” Bull. eucharistique (Montréal), 8 (août 1945): 226–56. Marguerite Jean, “DUROCHER, EULALIE, Mother Marie-Rose,” in Dictionary of Canadian Biography, vol. 7, University of Toronto/Université Laval, 2003–, accessed April 19, 2019, http://www.biographi.ca/en/bio/durocher_eulalie_7E.html.